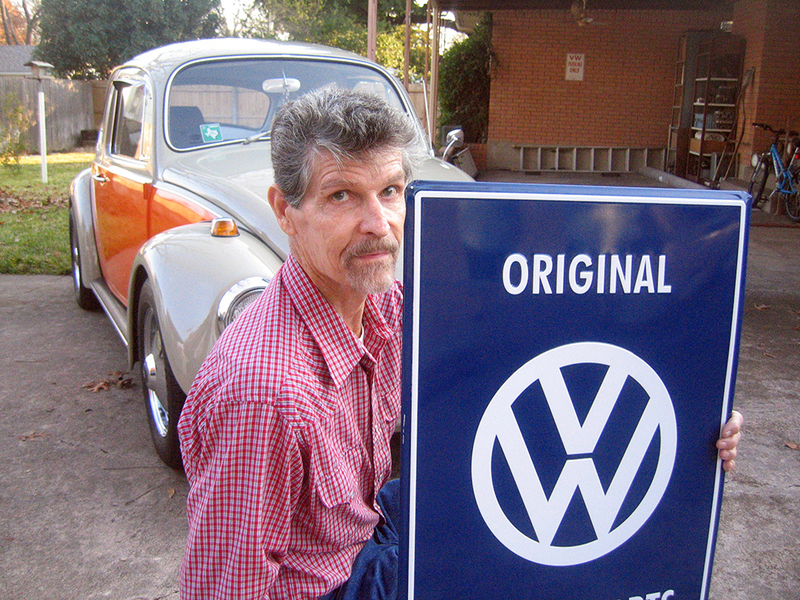 I’d like to take a moment to shine light on one of the greatest vintage Volkswagen enthusiast in our hobby today; Jay Sasler of Garland, Texas. His contributions to 1967beetle.com are enjoyed by readers all over the world. Also, his knowledge and years of experience with vintage Volkswagens is second to none. Also, it was recently his birthday! Jay didn’t want me to post a mention of this, but I feel the vintage VW community needs to celebrate. Like me, he does not like to be in the spotlight. 1967beetle.com is about the best year vintage Volkswagen. Without his knowledge it would not be what it is today. As Lane Russell has grown, I’ve had less and less time to focus on articles. Happy birthday Jay! 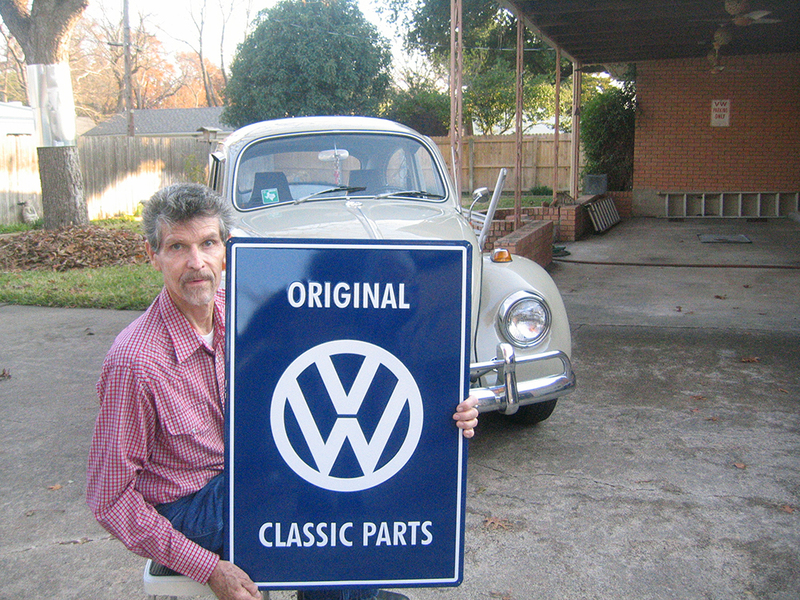 Thank you so much for helping The 67 Volkswagen community information but also on my 1966 VW bug model! Hope you have a wonderful day! So I’ll be the first to say something. “Thank you” would not be enough words to say how much Jay means to both Amanda and I. He’s helped turn 1967beetle.com into what it is today. Sometimes, planets align and people connect in the way we have. We’ve never even met, but I consider him family. I’m sure y’all do as well. His dedication to these old cars is something to be proud of. Thank you, Jay! Have always enjoyed reading Jay’s post and whether the article effect me and my 67 Zephyr Blue, or not, they are very informative. Thanks a lot, Jay, and Happy New Year to all of you Buggers. Happy New Year! Jay is one of those people that make the VW community special. Thank you Jay for all of your shared knowledge. Cheers to you! Happy Birthday to you Jay.. We haven’t met and I have not had to pick your brain YET.. So take a nice ride in your 67 and enjoy your day. Jay can answer any question down to the last nut and bolt. Happy belated birthday! Best wishes to Jay for his birthday and for all that both Jay and Eric have done to inform and inspire myself and so many others who have ’67 Beetles! 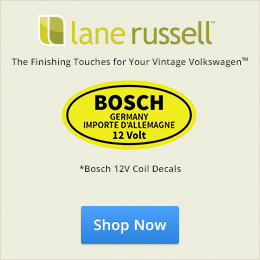 The work that you do is a great service to the entire vintage VW community! Happy Birthday Jay! It was nice to finally speak with you the other day. I’m working on that project we spoke about and you’ll be hearing from me soon. Enjoy your day and the new year too. Jay has been a great friend and help! I could not enjoy this hobby without him. His patience and understanding are wonderful. Jay you are like family and your contribution to this community can not be overstated. I concur with (RONW1967), I could not enjoy my ’67 Beetle nearly as much without your continued help and goodwill in keeping us all in check and on the road! Kudos to the Masters Eric & Amanda “putting the bow” on this by bringing together such gifted people like Jay S!! Jay – I want to and a Happy Birthday, along with those who have already beat me to the punch. Now, I must ask…………since it also happens to be the 50th birthday for our beloved 1967 VW, which is older? You or the VW? Thanks for your great expertise, advise and dedication to those of us with much less to offer. Your response Jay to those who wished you well and thanked you for your willingness to share your knowledge of the ’67 Beetles was, for me, an affirmation of your fine character and selfless devotion to others. As for you’re not being an “authority” in regards to the ’67 Beetles, I doubt that any one person can lay claim to that status any more than an attorney or physician can go beyond saying that they are “practicing” in their area of specialty. What you do own is a well-deserved reputation for helping others more fully understand and enjoy their Beetles and that is no small contribution! Where to begin? Jay has been a repository of answers, directions and encouraging words that have guided me on my journey of keeping my 1967 bug from the scrap heap. I appreciate his patience and guidance and willingness to help me no matter how elementary my thousands of questions are. Interestingly enough his knowledge is not what makes him a special person. It’s his compassion and willingness to help another person in need. He offers this help unconditionally and that is what makes him a diamond in the rough. Happy birthday young man and thank you for your help and friendship! Like me, Jay is humble. It’s obvious his years of knowledge and giving to others is something very special. I feel lucky to have stumbled upon him year ago. I still think back, sitting in San Francisco around 1 AM with the idea of creating this site in my head. I had no vision that so many people would care about the ’67 Beetle. Who knew. Thank you, Jay. You’ve done more for me than friendly advice and parts knowledge. We all admire you. Best Wishes Jay. Along with the rest of the 67 family, it’s been a pleasure to listen to your wisdom of these cars. Eric, thank you for giving us the opportunity to wish him well on this day. The “connecting” with people is the main reason we keep doing this. 1967beetle.com cost $ and time to run. But, it’s not about that. It’s about helping keep these tiny wonders on the road. Amazingly, I believe we’ve been able to do that in some way or another. Happy birthday, Jay. Your many articles have been enjoyed and used regularly to make many jobs much easier. Your friendship beyond the car aspect has been a treasure even from so far away! Thank you! You taught me how to drive in a 1967 VW. I learned a great deal about all areas of your fleet of VW’s, as I helped you buy, sell, tow, and observe and participate in repairs to every part of 1967 VW’s. So, I love to drive a stick shift, I can diagnose most mechanical troubles in my cars, and I know how to buy used cars! That’s a HUGE education!!!! Thanks! A big Happy Birthday, Jay. Pleased to tell our 67 VW family, my wife, Aurora, and I live approximately 30 minutes from Jay and Neva. I agree will all the fine comments made about Jay. I am always amazed where Jay finds the time to research and publish his articles, talk and/or correspond with so many of us, and on and on. Best wishes for a safe and happy 2017 and many many more birthdays. Hello, Felix…I cannot recall when we first knew about one another. We kept passing one another and missing one another. I am so happy that you came to the house and we became personally acquainted! Happy birthday Jay! Thanks for all the info through the years and years to come! Happy Birthday Jay. Wishing you the very very best. It has been a blessing being able to becomes friends with you and Neva. Jay, lord willing I look forward to seeing you again this summer. You are the expert and we are so lucky to have a person like yourself who is willing to both help and share your vast knowledge of Volkswagen’s. Happy belated Birthday my friend!!! It goes without saying, a “great man” is almost always aligned with a”greater woman”! I understand the focus here is a birthday salute, however, I would be remiss not to Thank and Praise both Neva & Amanda for their support, unconditional love and contributions to the “infectious vices” of two great men, (Jay & Eric). A great big shout out to the ladies! Thank you, Gavin, for your kind toast to the wives. Jay and I have worked on the same team from our first meeting. And then he picked me to be his wife!! Believe me! he is the one to be with, through thick and thin. He is the BEST!! How it pleases me to hear others’ praises and blessings on him. Your willingness to share your knowledge of VW’s and great advice is much appreciated! Sorry I missed this one – I have been engrossed in a 71 VW bus with 1600 dp engine. Still have our 67 beetle and she’s GREAT thanks to information from you Neva and Eric. streets are gold and everyone’s driving 67 beetles.